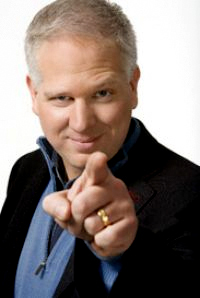 Glenn Beck has dabbled in anti-Semitic conspiracy theories. He has expressed admiration for the anti-Semitic writers Elizabeth Dilling and Eustace Mullins. Yet he was recently invited to speak before a committee of the Israeli Knesset, where he was well received and lauded as one of “Israel’s great friends”. We live in a society in which anyone who criticizes Israel is labeled as an “anti-Semite”. Yet the Israelis have made it clear that they regard a genuine anti-Semite as one of “Israel’s great friends”. What does this tell us about Israel? This entry was posted on July 13, 2011 at 6:58 am and is filed under Conspiracy Theories, Imperialism, Media, Middle East, Racism. You can follow any responses to this entry through the RSS 2.0 feed. You can leave a response, or trackback from your own site.